QPER Mobile Network Emulator enables engineers to simulate handover scenarios in mobile networks without a fully-fledged test lab. Based on Qosmotec’s QPER technology, it allows to test UE and SIM-Card behaviour in a completely emulated mobile network: Cells can be configured with all relevant cell parameters (MCC, MNC, LAC, CI, etc. ), SIMs can be added to the HLR, and UEs can use standard circuit switched and packed switched services. 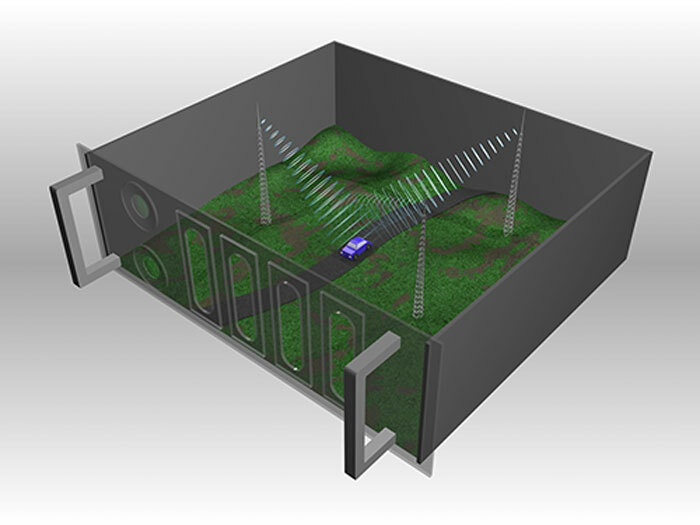 Thus, the QPER Mobile Network Emulator emulates the all components of a mobile network – consisting of core and radio functionality – and creates RF signals. It supports GSM, GPRS and EDGE (900 MHz, 1800 MHz) as well as UMTS (2100 MHz). QPER Mobile Network Emulator shrinks the test lab to the size of an industrial rack. 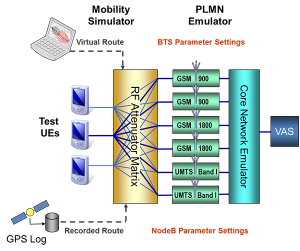 All kinds of UEs and handsets can register to the simulated network and use applications like voice calls, SMS, data, etc. Therefore, the QPER Mobile Network Emulator is suited for all operators basing value-added services on existing networks – for example, MVNEs or MVNOs. 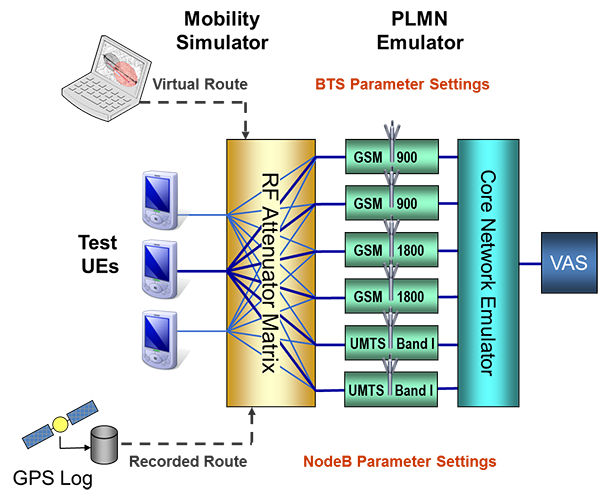 QPER Mobile Network Emulator’s simulation capabilities also include subscriber mobility in the simulated network. It is based on the QPER virtual drive test software that offers an intuitive interface for this purpose, allowing test engineers to create and run their test drives with a few clicks in the GUI. This allows them to emulate handover scenarios between cells, network technologies, and international roaming. Additionally, QPER Mobile Network Emulator offers the possibility to replicate real drive tests exactly via a GPS interface. Thus, QPER Mobile Network Emulator offers service providers without a test plant of their own a compact, yet flexible, platform to improve quality and performance of their services.